There’s something special about historic buildings, maybe it’s because they are left over from an era that has passed. They represent a specific time, and style, which is attractive in the eyes of designers. Oftentimes old warehouses are converted into brand new condos and mark a new point in the present. This dazzling condominium, London on the Esplanade, is characterized by its neighbourhood’s historic manufacturing warehouses. This edifice is positioned right at the core of the Toronto financial district and to the east is the historic Old Town. Since the building is technically in two different sections, the plan is an architectural combination of two different techniques. The 33 storey high glass tower blends with the current glass towers of the financial district, and at the same time, the lower brick structure and podium aim to embrace the present historic warehouses to the east. The three year old building features beautiful views of the city. 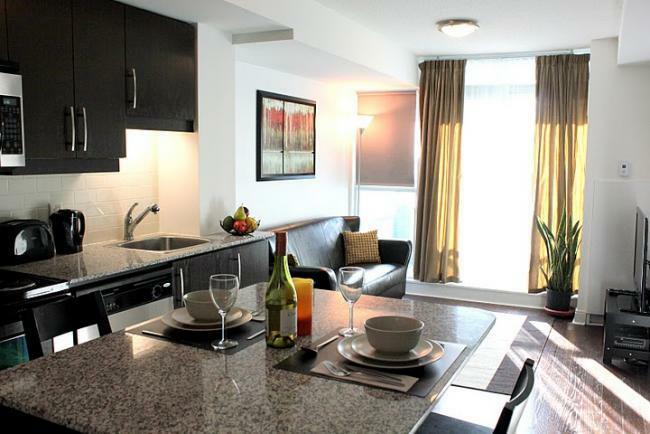 In this one bedroom furnished Toronto rental is a custom kitchen with stainless steel appliances and granite counter tops and island seating for two. Everything you can think of using while staying here is located inside the unit, tongues, pot holders, forks and more. Hardwood flooring flows throughout the unit and the ceilings’ height is up to 9 feet. Also, there is a queen sized bed and separate work desk for your personal use. The bathroom has good-looking ceramic tiling. The living area has a comfortable couch and a flat screen TV with digital cable. No need to feel cramped if you don’t want to, there is a private balcony for some outdoor space. Additionally, there is an outdoor pool, whirlpool, spa, and a BBQ terrace. For weight or resistance training there is a fitness center, and yoga room. Plus, there is a massage room, private theater for personal screenings, a games room for entertainment and a party room. All these amenities can be rented and there is 24 hour concierge service for your safety. This building is perfect for anyone who desires to be near the downtown core yet can still appreciate the allure of old-town Toronto. 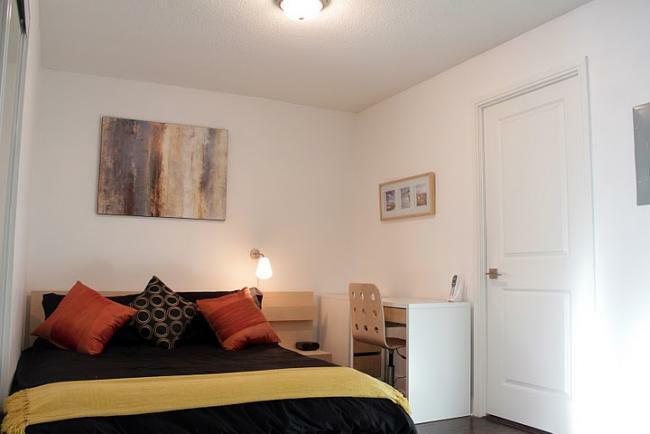 The suite is a few steps away from Union and King Subway stations, and a 24 hour grocery store. 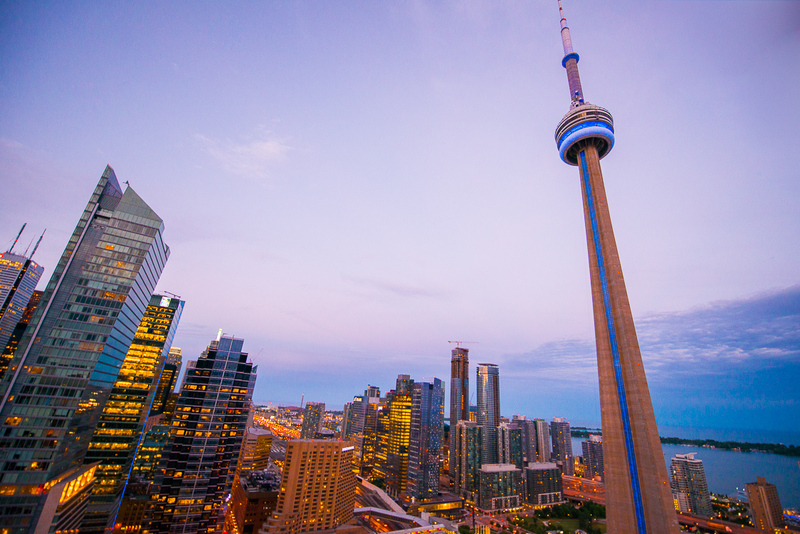 At the same time, it’s also close to Harbourfront and the St. Lawrence Market. St. Lawrence Market North, on the north side of Front St, is admired for the weekly farmer’s markets and antique galleries. St. Lawrence Market South, on the south side of Front St, is made up of restaurants, the St. Lawrence Market Gallery, and a bunch of areas to buy food: delis, bakeries, and meat shops. Another bonus of getting into a furnished condo rental in Toronto is the free wireless internet, digital TV and en-suite washer and dryer so you can keep your clothes clean. Who doesn’t love a fully equipped kitchen, and towels and linens that are regularly washed? For more information about this or other available units, or to make Toronto accommodations, visit the London on the Esplanade page.